Works of art speak to us with many and varied voices. Some convey the thoughts and ideas of the original artists, while other voices belong to the subjects themselves, telling us about the personal stories and events in their lives. Occasionally we hear interesting voices from the lives of collectors through whose hands the works of art have passed over the years. A rich tapestry of narrative content is woven through these stories, and viewers become a part of the story as they add their unique perspectives and voices to the ongoing conversation. In this exhibition we have clustered the works into sections representing People, Places and Ideas. In People we share images of individuals from different time periods and social or economic backgrounds as they pursue varied interests and engage in different life experiences. In Places we explore grand landscapes, towering buildings and intimate everyday spaces. The Ideas section is a blend of artistic responses that stimulate the mind and the imagination. 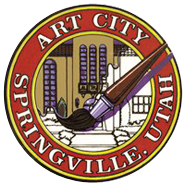 We hope you enjoy this exhibition as you consider new voices, explore inspiriting ideas, and rediscover old favorites that will continue to delight our Springville Museum of Art visitors for years to come. 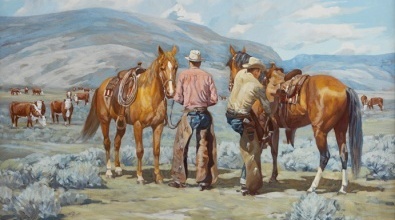 This exhibition is generously supported in part by the Utah Arts & Museums, with funding from the state of Utah. Free exhibitions tours are available for community, church, and school groups. To schedule a tour call 801-491-5707.